If your looking for character, you don't need to look much further. 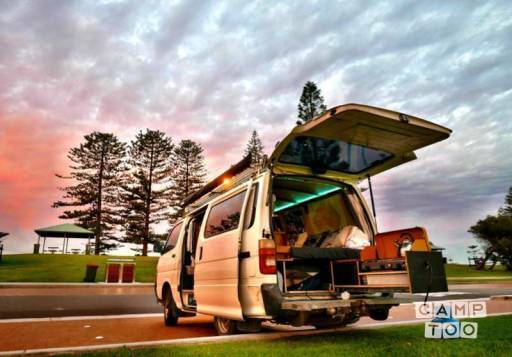 Everything in this van is custom built, there isn't another vehicle like this in the world. Enjoy the unique features on offer and they will make your journey perfect! Je kan de camper ophalen in Wollongong bij Ryan.